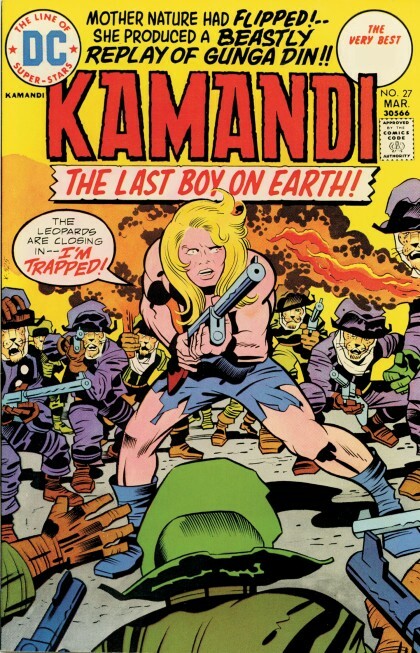 ANDY’S PICK :: KAMANDI LAST BOY ON EARTH HC VOL 02 OMNIBUS: So back in 1972, DC tried to secure the comic publishing rights to Planet of the Apes, but they lost out to Marvel. 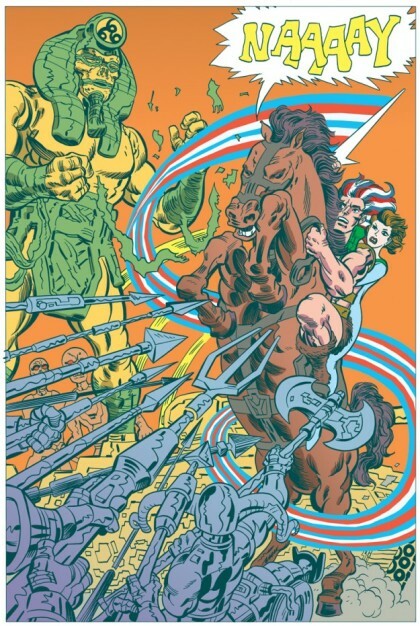 So DC asked Jack Kirby to create a series that would be similar (but not too similar) to PoA. And as usual, Kirby not only delivered, he surpassed all expectations. Kirby wrote and drew a 40 issue masterpiece of bizarre concepts and fun to read stories that all take place in a post-nuclear-war earth of the future where mutated animals rule and humans struggles to survive. This Omnibus collects the final 20 issues of the series and includes the classic issue #29 where a cult has formed whose members celebrate the legend of Superman–the hero who tried (in vain) to prevent the Great Disaster. The followers worship at the feet of all that remains– Superman’s uniform. 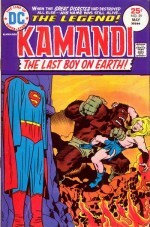 It is one of the great Superman stories of all time and oddly it is a story where the Man of Steel never even appears! Pure Kirby magic! Sorry to sound like a broken record, but these Kirby Omnibus are required reading. Get busy and enjoy–there will be a test!